"In the lawsuit, franchisees allege that the franchisor has been stealing money from them through a convoluted deceptive kickback scheme connected to its supply chain." 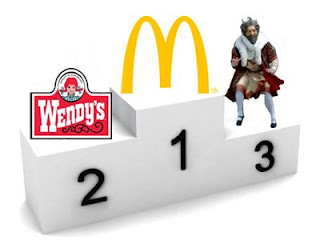 Is Burger King Poised to Retake Second Place? menu complexity while reducing overall energy costs." Increasing menu complexity? Oh, goody. creating "high density crew labor" ? its product pipeline is as robust as ever, and promotional food events continue to be key." as one entity would be counted as three operators by Oak Brook. argument because there are variations all over the board. I continue to hear the small Operators described as a "liability""